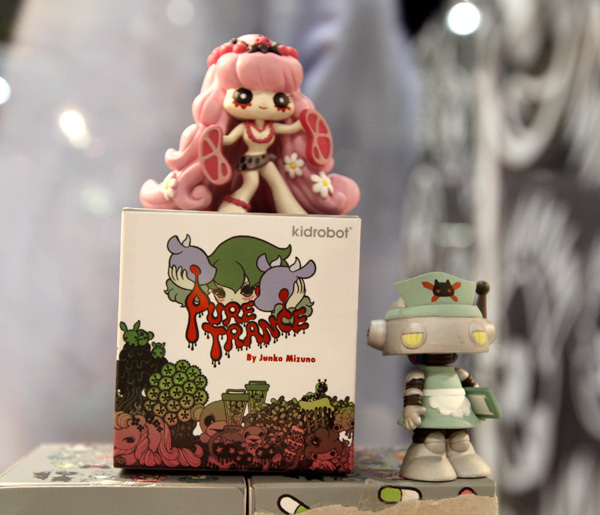 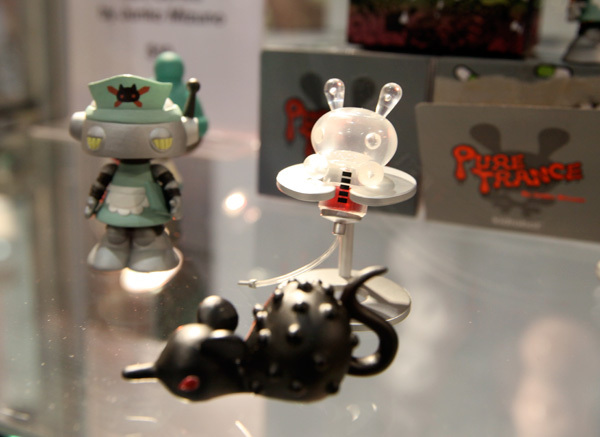 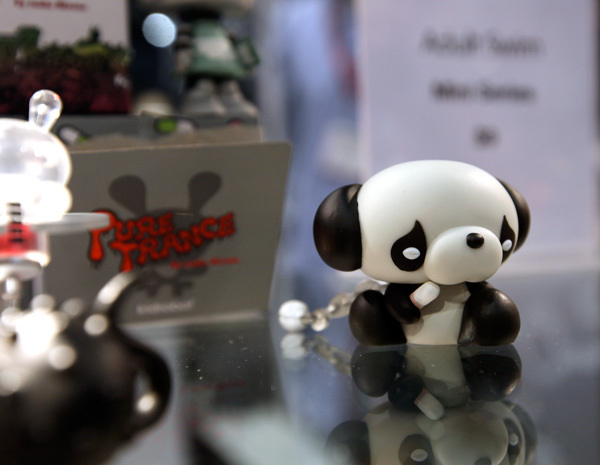 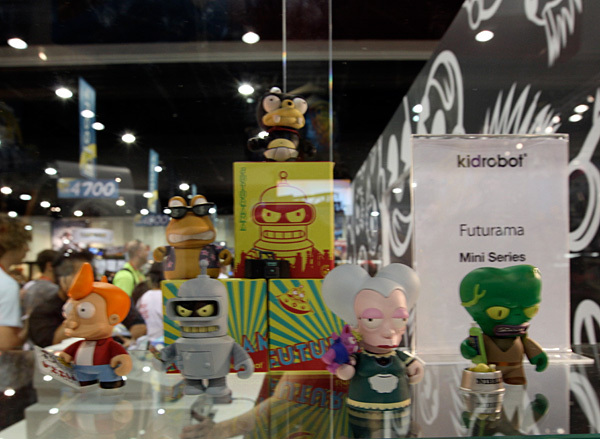 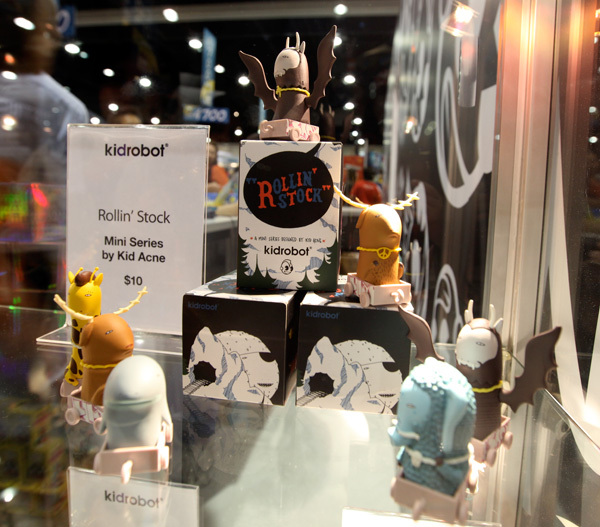 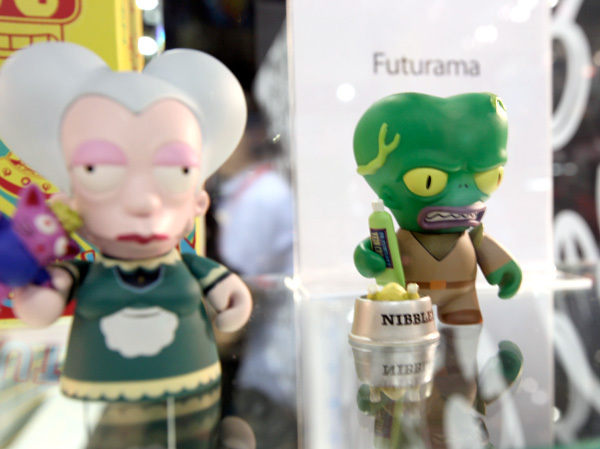 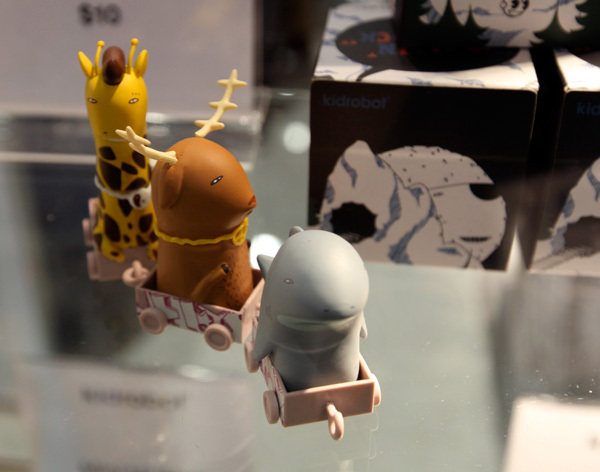 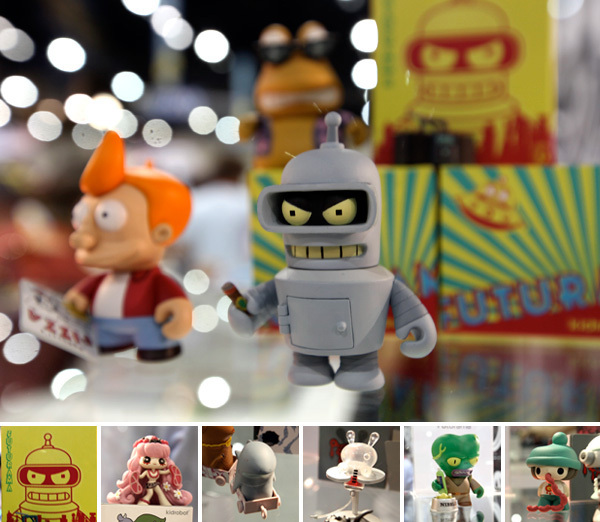 On toys i was excited to peek at in person ~ three blind box sets from KidRobot jumped out at me at their booth. 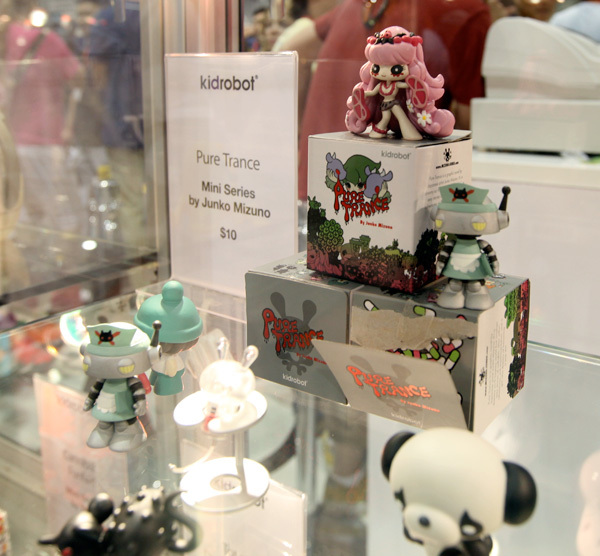 The Futurama ones of course ~ and Junko Mizuno’s Pure Trance ~ and DJ Kid Acne’s Rolling Stock… take a look at closeups on the next page! 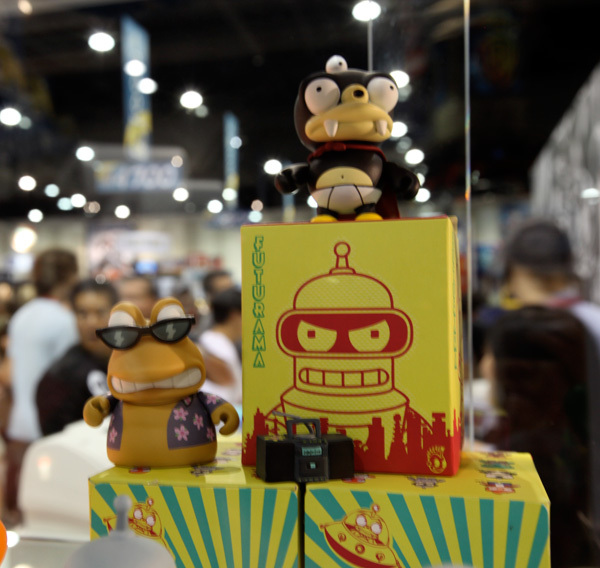 Bender! 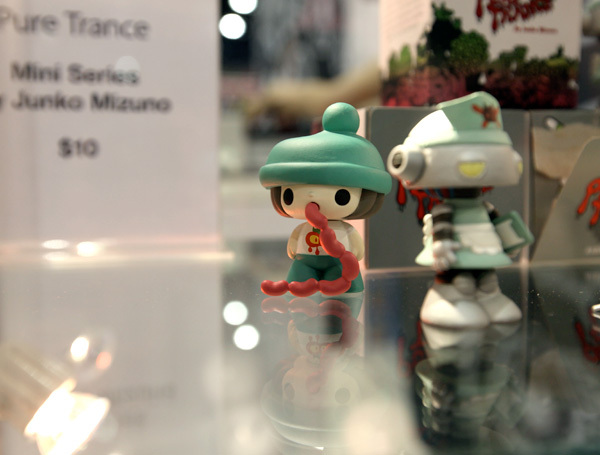 what should I do to be so cool just like you!